Anyone who is interested in IP security cameras will come across the acronym “ONVIF” at some point. The acronym has a lot of mystery behind it and can be difficult to completely understand. This article will explain and demystify common misconceptions surrounding the acronym. February 18, 2019 by Matthew Rossi, tagged onvif ip camera, IP camera reviews. January 24, 2019 by Matthew Rossi, tagged IP camera setup, IP camera reviews. 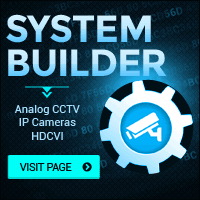 We’re often asked how to modify an IP camera’s video settings once you already have it up and running on your NVR. This process can be difficult without any knowledge of computer networking or setting up a standalone IP camera. In this article we explain the technical details of taking a camera from the back of your NVR and connecting to it with either a direct connection or through your network. January 18, 2019 by Matthew Rossi, tagged IP camera setup, IP camera reviews. June 19, 2015 by Don Stephens, tagged 4K Security Cameras, IP camera reviews. June 12, 2015 by Don Stephens, tagged 4K Security Cameras, IP camera reviews.